With over 150 fonts, 50 foil colors and 1,300 clipart images, you can create the perfect party accessories for your event. You also have the option to Upload Your Own Art for a truly unique product. 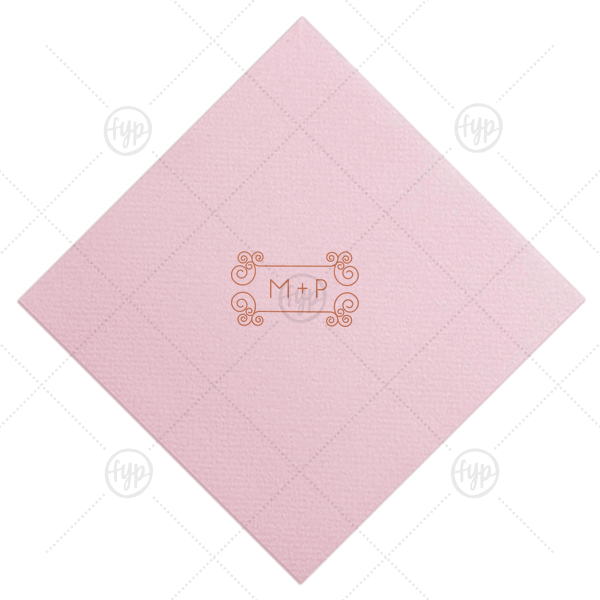 The ever-popular Pastel Pink Linen Like Cocktail Napkin with Satin Copper Penny Foil has a Ornate Accent 1 graphic and is good for use in Frames themed parties and will make your guests swoon. Personalize your party's theme today.